At this point in time, it is glaringly unnecessary to sing praise for A Lucky Man, a finalist for the National Book Reward for Fiction. Jamal Brinkley must have come to realize that his debut collection had created the literary equivalent of a 2005 Pontiac G-6 Sedan when he garnered praise from Oprah Winfrey as she chose to promote his short story collection on her aptly named website. But unlike the 276 brand-new cars that Oprah famously provided and endorsed, the stories within A Lucky Man possess the necessary qualities for longevity with their deconstruction of modern masculinity coinciding with brilliant commentary regarding the role models afforded to young black males. It is not the intention of A Lucky Man to evoke a readerly reaction in response to stereotypes (racial or otherwise) present throughout the book. It chooses to highlight the importance of relationships in a world seemingly designed for the social and economic failure of Brinkley’s protagonists. Consistently set in New York—mostly in the Bronx and Brooklyn, ranging from 1990’s to present day—a lived in, realistic location for the relatively confined stories. 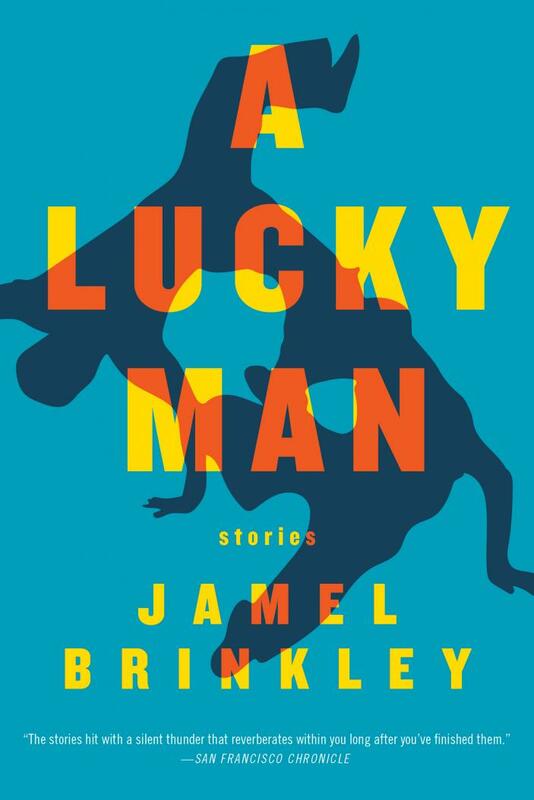 These nine rich stories manage to subvert expectations with their definition of what it means to be a man, while implanting the name Jamel Brinkley into the minds of readers as one to remember. The collection’s second short story, “J’vourt, 1996,” features a seventeen-year-old man-child named Ty charged with the task of combatting the everyday struggles of a soon-to-be full-grown African American man. Ty does not just expect to go to jail, but it is his mission. An unwavering irrational goal that is necessary in order to emulate the precedent of his father. The man that Ty, with every fiber of his being, believes to be the truest and strongest version of a man that one can possibly be. It is not until a conversation with true “grown folks” that he realizes there are other options in life. “I got family, little man. I’m going home,” he said. “And so should you. It’s time. Those fools in there? They ain’t got no place better to be.” This quote, spoken by a man named Cuffy, is the best advice that Ty is likely to have received in his young life. Acting as a simple foil, Cuffy exemplifies all that Ty is attempting to divert. His family. Thinking himself a man on the run, Ty feels disdain towards the new man in his home, and embarrassment caused by his younger brother, intending only to search for the life almost lost to him. Readers are forced to watch as this young man attempts to follow in the footsteps of his wayward father, knowing the whole time the type of life that this path will lead him down, but deep in your own heart, understanding his made-up decision to do so. The ongoing structure present throughout A Lucky Man remains consistent from story to story, with the shortest story being eighteen pages long, and the longest being forty-one. “J’vourt, 1996” transitions seamlessly to the third short story in the collection, “I Happy Am.” Possessing characters of a similar age range to Ty’s younger brother, “I Happy Am,” is entirely shaped by the expectations of young children. As the characters embark on a day camp trip to a suburban home, Brinkley decides to delve into the psyche of his young characters, Freddy and Santos. Hoping to find themselves at the Johnsons’ “really freaking big” house in Scarsdale, New York, the boys are evidently underwhelmed by their final destination. What follows is a poolside excursion where tempers flare and young friendships are tested. Freddy recalls his mother’s teachings in order to decide his next course of action, “When he was a smaller boy, she taught him that the world was a huge bear, but that you could beat it if you imagined you were bigger than you really were,” which prompts this imaginative boy to venture forth into his surroundings, learning a valuable lesson from the host of his trip. Jamel Brinkley’s A Lucky Man entirely hinges upon the interactions between the real people that he has created for his works. Ty’s journey to craft himself into his own personal definition of a man is intervened by the actions of his community. When he is confronted with the ultimatum of “dance or go home,” he conforms to the wills of those around him, and when he wavers, they are there to make sure he does not hit the pavement. Freddy’s story, alongside Brinkley’s other seven protagonists follow similar trajectories. It is not the decisions of their own self that truly impact who they are, but the decisions of those around them. Leaving Jamel Brinkley’s interpretation of a man to be defined by those a man chooses to surround himself with, whether family, friends, an entire community, or total strangers.